For this discussion, I'll be using BMX as a generic term to include all aspects of riding 20" bikes. Getting kids hooked on riding is key, and then a rider can decide to race, hit the ramp park, build jumps, stick to spinning in circles in an empty parking lot, or doing it all. First off, I think that some of what make BMX so appealing to many is also what limits the sport's growth: the freedom and lack of structure. I look at what some kids do in their "free time," and I just shake my head. Basketball, hockey, baseball, football; many of these kids are up and out of the house at 7:00am being carted around by their parents to practice and games, followed by more practice and more games. With BMX, you take your bike and you ride on your schedule, on your terms. A little street riding and then hit the trails? Sure. Ramp park for a couple of hours and then head downtown? Why not? To me, and I'm sure most other BMX'ers, that's SO much more appealing than having some baseball "has-been" or "never-was" going through pitching drills for two hours on a Saturday morning. Now, think of how easy it is for a kid to get introduced to any of those sports--there are sign-ups and recruiting efforts at schools, local YMCAs, etc., and national groups that drive these efforts. Think of the massive Little League organization and how it works to get kids and parents involved in baseball. It's a machine. There is nothing similar in BMX. 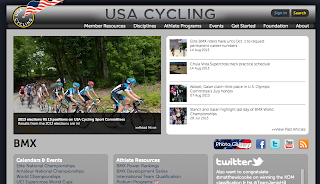 Having been involved with USA Cycling for other disciplines (cyclocross, mountain biking, road racing), I can honestly say that in my opinion, USAC is out of touch. 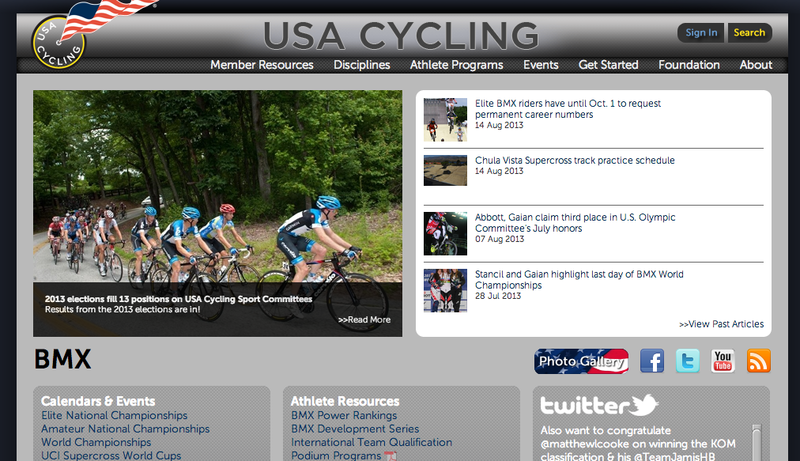 Right now, they even have a photo of road cycling on their BMX page (https://www.usacycling.org/bmx/). Anyway, there is no organization working to get kids on to BMX bikes--on trails, on tracks, in parks, or for flatland. Nothing. Here's what a kid has to do if he (or she) wants to ride BMX. He has to convince his parents to spend the money on a bike--a good bike, not some Wal*Mart crap. Then he has to ride. And let's face it, we all know that BMX is not easy. So this kid has to find the motivation inside to keep working at it. Can you think of how easy it would be for a kid who's struggling to learn to hop up on to a ledge to get frustrated and give up if there is no supporting or encouraging environment? Is the local BMX crew of riders going to openly work with this newbie? Is the newbie going to be too intimidated to ask for help? Now, maybe this kid goes to a local ramp park (hopefully bikes are allowed). And while local ramp parks are a HUGE advantage that weren't there when I was first getting in to riding, there are still many factors that make them more annoying. Some ramp parks are in bad areas--parts of town that you just don't go to. Some ramp parks in inundated with scooters. Some ramp parks are deserted. But even for the ramps parks in the perfect environment, a rider has to have the drive and internal motivation to watch videos and edits to learn the moves, and then spend time at the park practicing. Is there someone there to help? Someone to encourage? Someone to say just carry a little more speed here, or lean back there? Unless a new rider had a bunch of friends that are all equally motivated, even initial enthusiasm can fade, and the bike will just sit in the garage and end up on Craigslist. What if there was a national organization with regional and statewide chapters that was just as aggressive as the other sporting organizations at recruiting. Imagine showing up at a school, signing up 50 kids, and taking them to a local ramp park with loaner bikes. Maybe it's the same but at a BMX track, or local trails. The kids learn some BASICS, get introduced to a supportive environment, and maybe, just maybe, 1-2% like it, buy bikes, and become "riders." The industry needs to go out to the prospective consumers, rather than waiting for the consumers to come to them. Even places like Woodward rely on the riders coming to them. To me, this is too passive, and the marketing needs to be more active. Watching a show is cool, watching an online edit is cool, but there needs to be more to maintain the enthusiasm days, weeks and months later. A national organization with Facebook, Twitter, Instagram, Vine, and other online efforts could provide that ongoing excitement. If not, BMX will still see plenty of kids buy bikes and will still see almost all of them being sold a year later do to lack of interest. That's one thing I think the "sport of BMX" in general needs… now, looking at specific brands, well, to be honest, I think there are too many brands out there. There are not enough riders to support Fit, Fiend, Federal, Failure, Fly, FBM, etc (and that's just frame companies that start with the letter "F"). Too many frame companies, and they all look the same. Maybe I'm completely out of touch, but I'll bet that most people in the industry couldn't tell the difference between a Fly Montana and Stolen Legion. I can't imagine how any of these companies can build brand identity and brand loyalty when the frames all look the same. I completely understand that form follows function and we do NOT need to go back to the 80's when every frame had some ridiculous platform, but at least back then, you could easily tell the difference between a Haro and GT and a CW, etc. If I owned a bike shop, there's no way I'd invest money into stocking any frames. How could I possibly know if a customer is going to want a 20.75 Kink Solace in black, but instead I stocked a 20.8 United Dinero in red. Too many frame options in too many microscopic sizing increments. I would think this makes it impossible for small shops to keep a decent selection in stock. I don't really even understand why there are so many different sizes anyway. Really? The 21" top tube is just too small, you need the 21.2"? You can't squeak those extra couple of millimeters from a slightly longer stem? The United Dinero frame (sorry to pick on you) is available in four sizes, 20.5", 20.8", 21", and 21.2" in three colors. That's 12 options for just one frame. 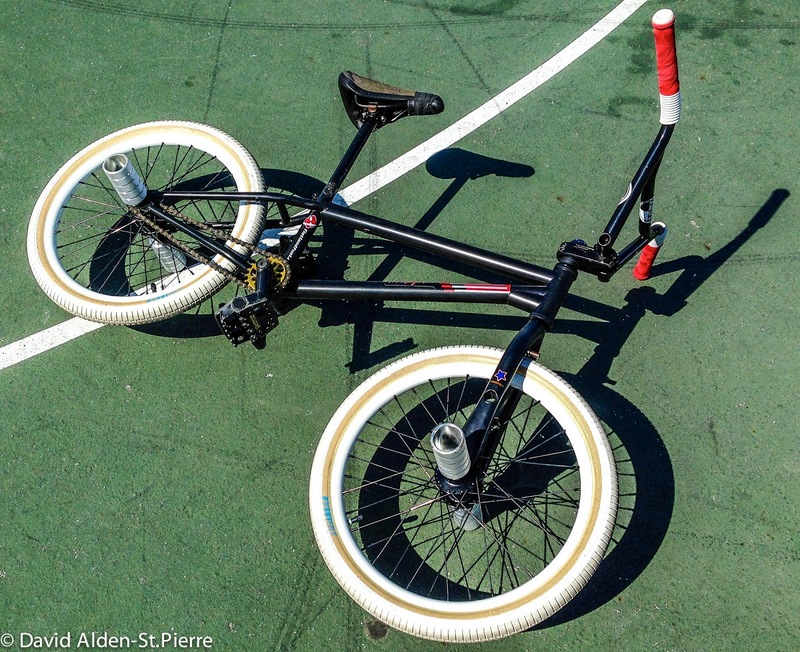 Dan's Comp has more than 100 street/park/ramp frames, all in different sizes and colors. How could a local shop possibly ever keep a good supply in stock? The industry has essentially forced the consumer to go online. If no shops can keep a good stock of parts, how can a local scene grow? I also think that the homogeny of frame designs makes sponsorship lose some of it's power too. If I watch an online edit of anyone from Chad Kerley or Alex Kennedy or Yohei Ucchino or whomever, I'm going to have no idea what frame or fork (or really any of the components) he's riding. They all look the same, so even if I'm pumped on a certain rider's style, it's going to take effort on my part to figure out what parts he's riding. An appropriate marketing plan should make that apparent. I'm not saying that riders should be wearing uniforms, but--in my opinion--if a company is paying you or supporting you--your job is to promote that company's products. Maybe that small, subtle sticker down by the bottom of the down tube is cool, but if it's not letting people know what frame you're riding, it's not going to help sell bikes. 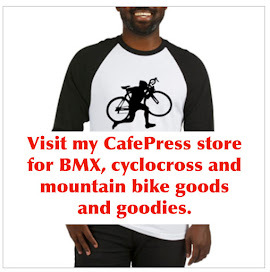 Again, I don't think riders should be wearing anything even close to the hideous BMX racing uniforms I see sometimes (seriously, they're horrible), but an effective marketing strategy should make connections to a brand. If a rider always wears a certain color blue (hat, shirt, whatever), and that blue can be traced back to a brand identity--that's effective. 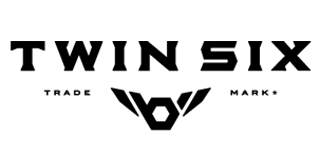 If a rider wears whatever and rides a nondescript bike, well, it's nice that the company is supporting that rider, but in my opinion, it's a waste of money. I can imagine that it's hard for companies to know whom to sponsor too. Again, looking back to the 80's (as I often do with fondness), there were maybe 15-20 "pro" riders. You knew that the craziest stuff was going to come from Wilkerson or Dominquez or Fiola or Gonzales or Aparijo or Itson. Today, riders are killing it all over the world. Harry Main will drop some amazing video and then some no-name rider from Central America might put out almost a similarly amazing video. There are incredible riders everywhere, and that, I think is awesome. The progress over the past couple of decades is astounding. Yes, the riding today is unbelievable, but I wonder if seeing video after video of truly top notch riding might intimidate or frustrate newer riders. I got into riding when it wasn't that hard (although, we thought cherry-pickers were the hardest trick ever), now, 30yrs later, I ride because I love it. It's fun. I don't need to spend 10hrs a day practicing, because I just love to ride. I'm learning new stuff, but even if I don't, I'm happy rolling around doing what I've been doing. I will ride until I can't, and I'll be buying bike parts all along the way. Should the sport do more to promote videos and edits that new riders can identify with and work towards? I don't know the answer to this, but for flatland, I watch so many videos and joke, "okay, I quit." I wonder if a kid just getting on to a BMX bike will watch the latest super burly technical street edit and think "I'll never be that good," and then give up. If BMX puts all of it's emphasis on the top riders, does that devalue the average rider? Does it seem useless to ride for fun? If you're not going to flip/flair/tailwhip that curb cut, why bother? My generation, I think, sees the value in a smooth tabletop off of a curb-cut, but will today's riders? I don't know the answer here, but I think BMX needs to work a little harder to bring the "average and mediocre" riders into the fold, and encourage riding for riding's sake. So, grow the sport--go out to the kids and get them on bikes. Don't just make bikes and wonder why no one is coming to you. Support the sport from the inside, and support ALL riders. Companies need to do a better job of identifying themselves in a sea of look-alike bikes, and sponsored riders need to do a better job of promoting the brands that put parts on their bikes and maybe money in their accounts. Let the hate mail and comments begin.